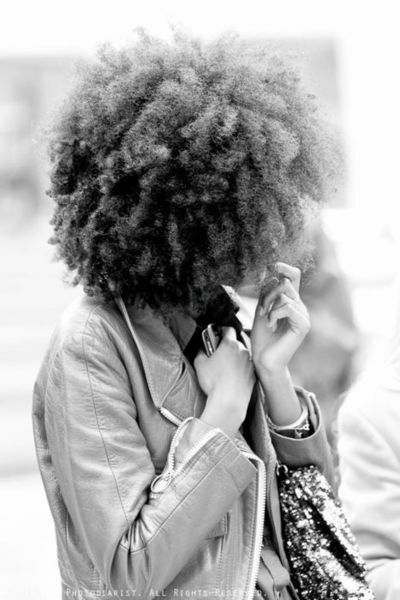 Afro-textured hair loves moisture. Moisture is not the same as grease. Do you know how to get moisturized, soft to the touch hair? Well, I am going to tell you how. Remember, not everything works for everyone. Let's get started. The time to start helping your hair to have moisture is before you shampoo. You can start providing moisture to your hair when it is bone dry, dirty and in need of cleansing. How do you do that? You provide your hair with a pre-wash treatment. The next step you can take is to use a sulfate free shampoo. Sulfates are detergent like cleansers. The sulfate molecules attract water on one end and attract oil or grease on the other end. They literally can strip your already moisture deprived hair of the little bit of moisture it has. Thus, you want to avoid them. Go to the Ulta.com site and put in 'sulfate free' shampoo. Brands that come to mind are the Giovanni line and the new L'oreal line. On a budget and don't want to buy anything right now? Take your shampoo that you have now and dilute it with water. Then, add a tablespoon of olive, corn oil or any other natural oil to it. If you have any 100% pure aloe vera in the house, add ź cup of that to the mix. That will "soften" the shampoo for you. Next, use a conditioner that says "moisturizing" in its name. Giovanni and L'oreal both have sulfate free conditioners as well. White Rain brand conditioner can be used as an inexpensive, moisturizing conditioner. I have Energizing Citrus in front of me. I know that it contains no sulfates. Probably the other White Rain scents are the same: sulfate free. To make this inexpensive conditioner thicker and richer, add oil and aloe vera. Don't dilute it with water. Lastly, after you rinse the conditioner from your hair, put a moisturizing leave in product in your hair.